Update: June 26, 2013. See also "Tax justice and a short history of the decline of corporate responsibility." Do company directors have a duty to their shareholders to avoid tax? We have written plenty about this: most recently, in a blog looking at two articles by Philip Stephens in the Financial Times and by Lee Sheppard in Forbes, exposing the flawed thinking of the likes of Eric Schmidt of Google and those who defend Apple's offshore tax shenanigans. Now John Kay in the Financial Times has an article complementing these ones. We've noted this before, but it's worth repeating his basic point. "Under the 2006 Companies Act, directors of British companies are required to promote the success of the business for the benefit of its members (the shareholders). In doing so, they must have regard to six specific factors: the long-term consequences of their decisions, the interests of employees, relationships with suppliers and customers, the impact of corporate activities on the community and the environment, the company’s reputation for high standards of business conduct and the need for fairness between different members of the company." "intentionally struck a middle course between those who argued that the law should simply say that the job of directors was to make lots of money for shareholders, and those who favoured a broader – stakeholder – view of the role of the corporation." "When companies adopt tax-avoidance measures, it is not because they must, but because they choose to do so." 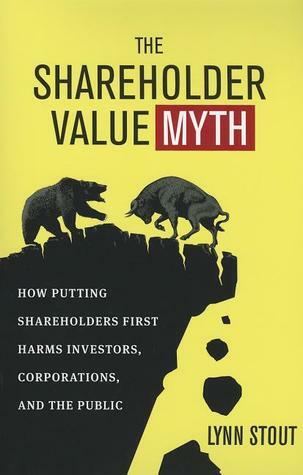 "The ideology of shareholder value maximization lacks any solid foundation in corporate law, corporate economics, or the empirical evidence. Contrary to what many believe, U.S. corporate law does not impose any enforceable legal duty on corporate directors or executives of public corporations to maximize profits or share price. As a theory of corporate purpose, it is poised for intellectual collapse." She asserts, too, that new theories of corporate purpose focus on the possibility that shareholder-value thinking harms many shareholders themselves. So let's put Eric Schmidt's nonsense behind us, continue to hold those corporate CEOs' feet to the fire, roasting them in public for their actions -- and also put pressure on governments and international organisations to change the system.